Pastel medium tip version of Uni's Posca Pen. 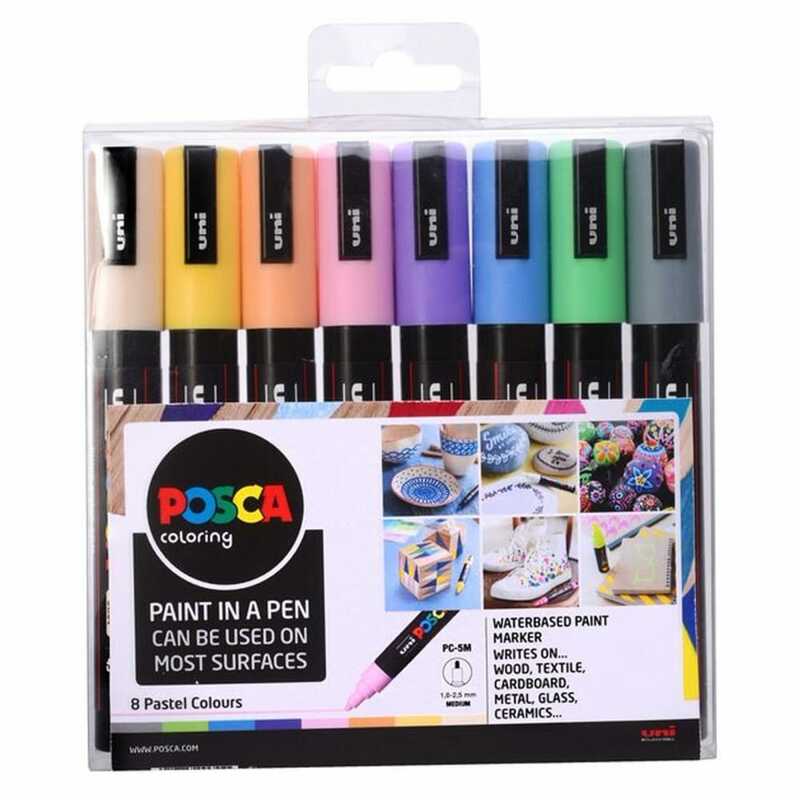 Each Posca pen contains non-toxic water based paint. Posca markers can be used on metal, wood, glass, plastic, plaster, canvas, fabric and much much more!